Each of these memoirs dip into the rich loam of storied family—in particular, the deeply flawed, hell-bent-on-chaos family. The word calamitous comes to mind and Mary Karr’s adult telling of her wayward family story serves up fires, floods, and hurricanes against an apocalyptic, industrial, Texas swampland backdrop. 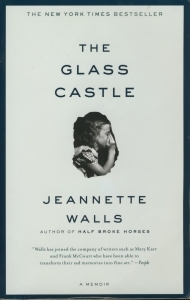 Jeanette Walls’ memoir is less steeped in place. She lights only briefly in the various settings upon which her mobile family touched down. Their extended stay in the impoverished coal-mining town of Welch, West Virginia is an exception. Home is a ramshackle dive perched with other low-rent shacks scatter-bombed across steep, slide-prone hillsides, and the reader follows the family’s demise from poor to poorer and beyond. Both books are testaments to the resilience/fragility paradox of human nature and character and its ability to adapt under pressure. Like water from a burst pipe in the wall, it will obey gravity until it finds a way out. Like smoke from an inferno, the only way out is up. I’m focusing on memoir in this post, but whatever genre you choose to write in; read the work of other authors. This is free education. With conscious, inquisitive reading you’ll uncover evidence of decisions made by the author regarding voice, point of view, format, structure, pacing, to name a few. Some memoir authors and teachers favour the prologue or author introduction to set up the story. We’re not talking mystery writing here, so don’t be coy and secretive to keep the reader on the edge of his seat. A grounding that states the authors approach to the material and to their living subjects, as well as the scope of the story and their method of working with memory, documentation, interviews is helpful to readers. Karr invites readers into her memoir with an author introduction. She begins with a short vignette that opens the curtain briefly on the key characters that peopled her childhood (now in their adult “present”) and drops some hints of what sort of things they might get up to. She describes the effect her book has had on so many readers who continue to send her “the shiniest of gems” that is, their gratitude and empathy. Karr calls The Liar’s Club a love letter to her less-than-perfect clan. Its impact on the reading public has spawned (on its own terms) many hundreds of love letters from the world. 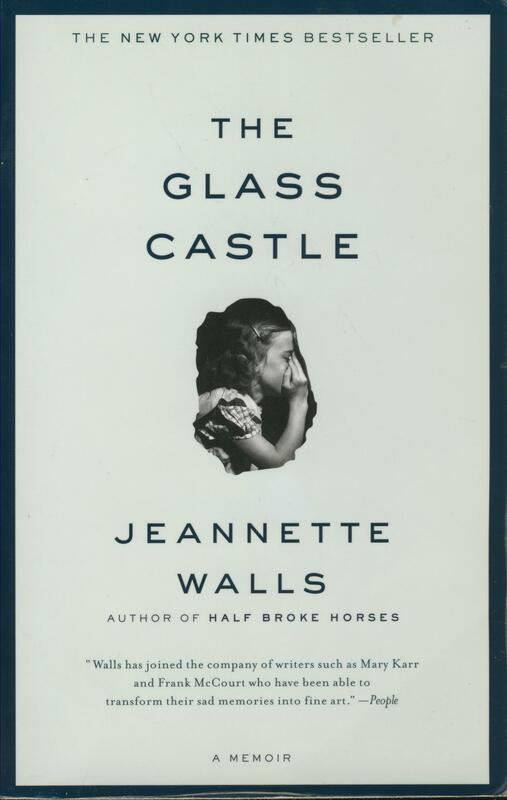 On the acknowledgements page of The Glass Castle, Jeanette Walls shares her gratitude to and appreciation of family members for (eventually) supporting the idea of the book. She then sets up her memoir by telling a “present time” vignette from the perspective of the successful, upper-middle class adult she has begun; a status in life that falls into sharpest relief against the opening chapter of her memoir. Both the Liar’s Club and The Glass Castle begin with a traumatic event that drops the reader “into the middle of things”. Walls writes a scene that is vivid, riveting and death defying. She tells it in present tense and from the point of view of her child self. She includes dialogue snippets. Karr’s opening scene is no less dramatic, but it is vague. Karr has made a conscious choice to show an event that is murky and unresolved. She captures it in the barest of details. Two little girls… nighttime, confusion, flashing lights and sirens, emergency vehicles, police, neighbours. The reader, and Karr the child, don’t really know what’s happening. A little further on, Karr states “It took three decades for that instant to unfreeze” and “Because it took so long for me to paste together what happened, I will leave that part of the story missing for a while.” Karr reminds the reader of the fallibility of a child’s memory, and the limited perspective of an adult’s recounting. Neither Karr or Walls are proposing that they have captured all the facts and nothing but the facts. Dialogue and scenes are standard in fiction writing and some memoir conservatives believe that is where they belong. Memoir is about telling the truth and it is impossible to recreate dialogue from the past, especially the distant past. There can be one kind of truth in the facts and another kind of truth in the verity of the narrative as a whole. Walls uses dialogue and “present tense” scenes quite liberally and it brings the readers inside the events she depicts. She does it with such a frank, direct voice, without exaggeration, that the reader trusts the author implicitly. Karr is more conservative with “present tense” scenes. An exception to this is her depiction of time spent at the Legion with her yarn-spinning father and his cronies in the real life “Liar’s Club”—namesake of the book. Karr sets up the scene. Then she unfolds the scene and it’s characters in all it’s colourful vernacular and sensory detail. This is a fleeting perusal of two exceptional memoirs written to give readers a degree of understanding of the genre and its possibilities.